The History of the Nantucket Hotel – Historic Charm & Modern Appeal in Massachusetts – In the fall of 1890, men and women of Nantucket who could remember when the town was a hub for the whaling industry, looked on as the foundation of a new building became the Nantucket Hotel. When it was built, it was named Point Breeze, thanks to its proximity to the beaches of Nantucket Sound. It had only been fifty years since whaling boats set sail from Nantucket seeking oil to light their pre-industrial world. Many times, these boats were gone for a year or more before they returned. By the 1850s, however, America had discovered a much easier, cheaper, and plentiful means of powering homes and shops, doing away with the need for ships to sail anywhere, much less to the other side of the world. Due to the discovery of electricity, over half of the Nantucket population fled the seaside town, as there was nothing left to keep them there without their seafaring industry. Streets, warehouses, and beaches fell silent. But Nantucket wasn’t just any seaside town. The spirit and vitality was so strong, that soon, people began to enjoy Nantucket as a steamer stop along the way to other coastal cities. Every year, Nantucket enjoyed scores of people admiring her streets lined with mansions, her many historically significant sites, and of course, her crystal clear beaches. Even though forty years had passed since Nantucket had been a booming town, she was now booming again, but with a different type of business – tourism! In the sweet summer days of 1891, Nantucket Hotel opened to the public for the first time. today, the resort still exemplifies the 19th century spirit. Some of the first advertisements bragged of the Nantucket’s running water, gas lamps, billiard hall, ballroom, and full orchestra. On the lawns, people played croquet and took in the wondrous views of the sea. 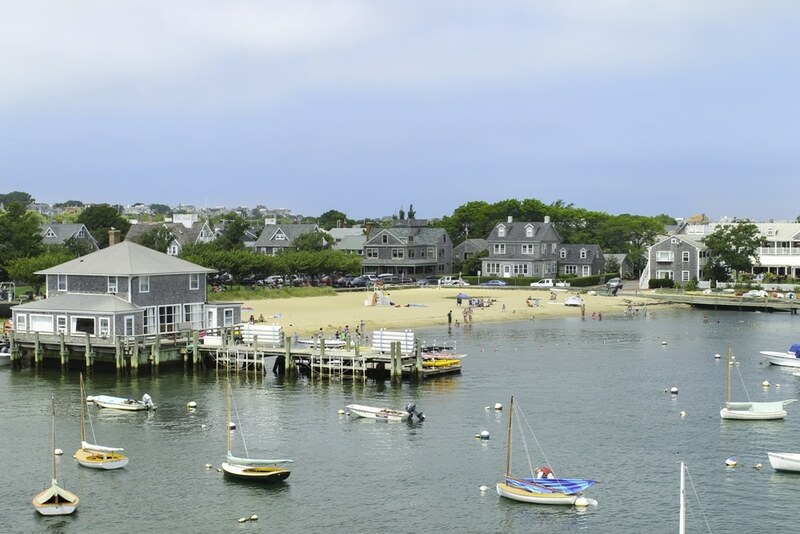 21st century travelers are still beckoned by Nantucket. The islands boasts streets of charm and views of the Atlantic Ocean that you simply can’t see from elsewhere. The Nantucket Hotel is still standing – a beacon to those who wish to experience the grandeur of Nantucket’s Elegance Age.